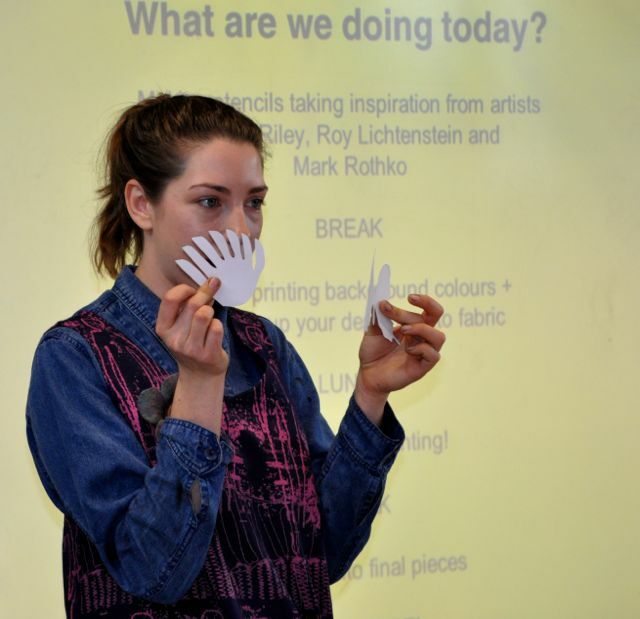 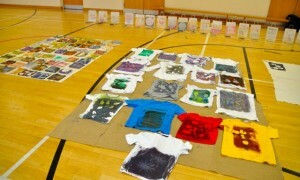 In day 2 of our Pop-Up print studio, artist Nicole Line taught us how to screen print. 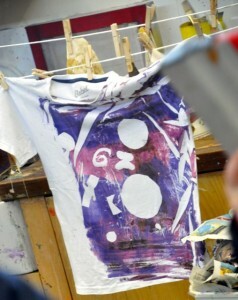 The day was full of experimentation. 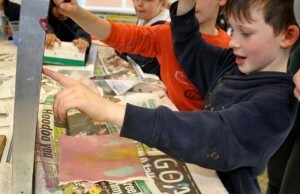 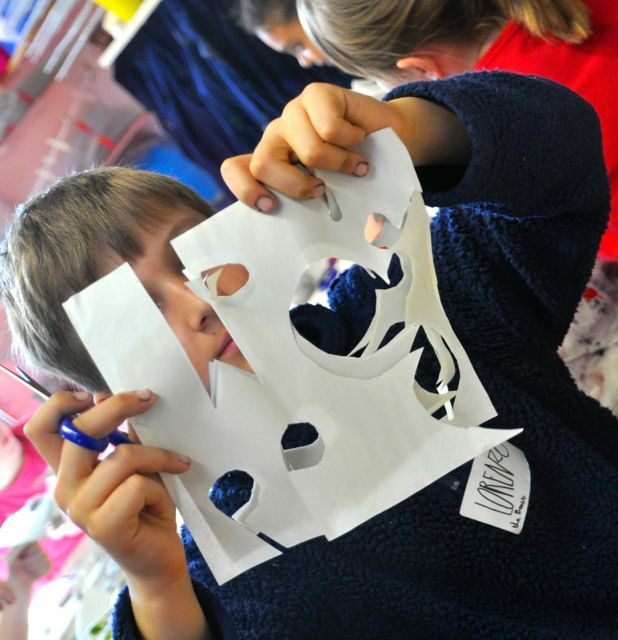 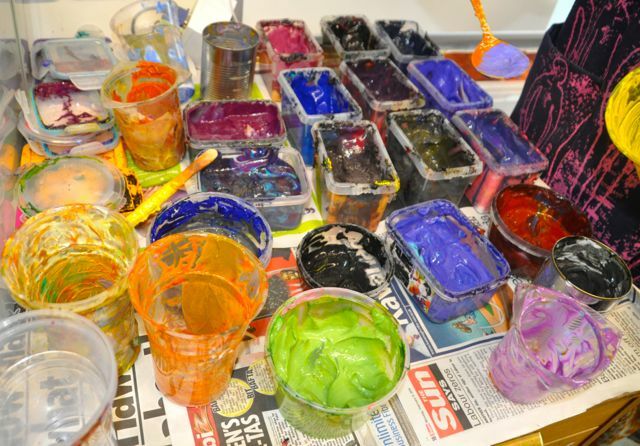 We revelled in mess, colour and design and learnt how therapeutic it was to play with materials, relax and have fun. 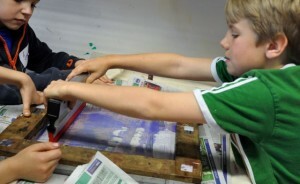 Don’t forget to check out Day 1, to see the Heat press workshop. 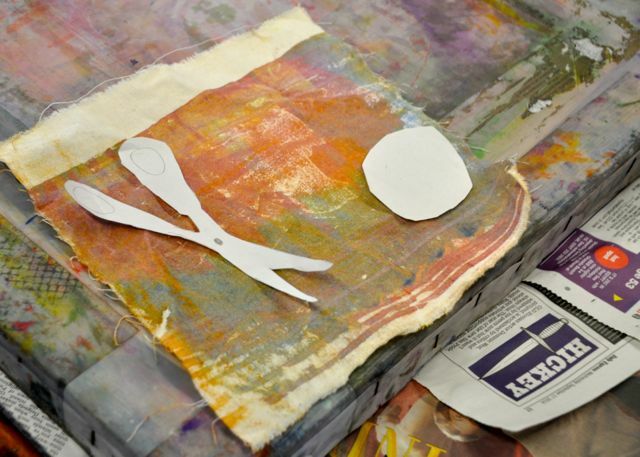 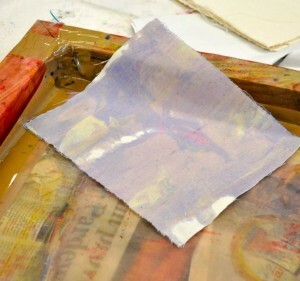 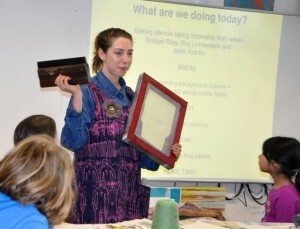 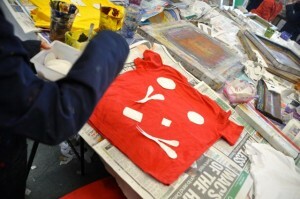 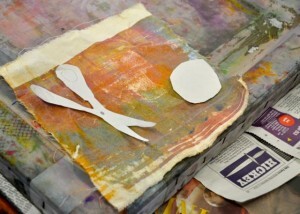 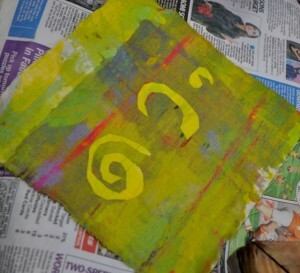 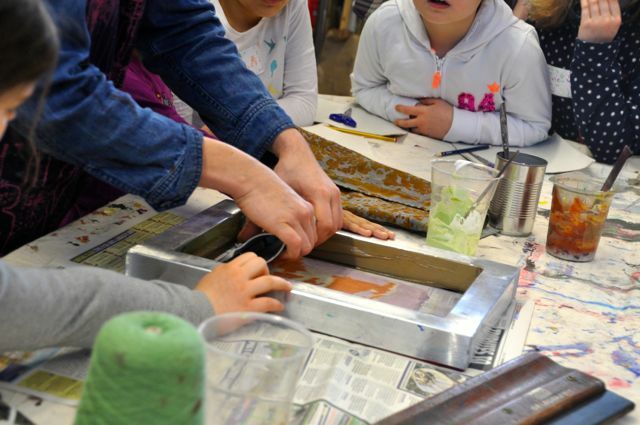 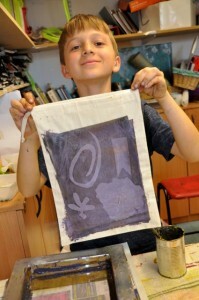 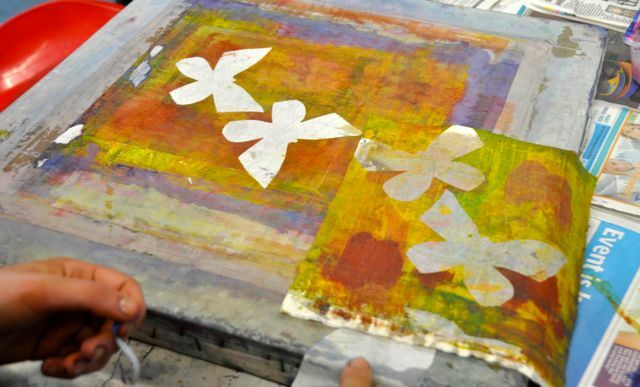 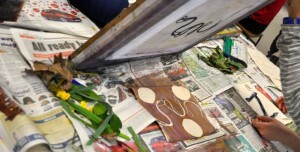 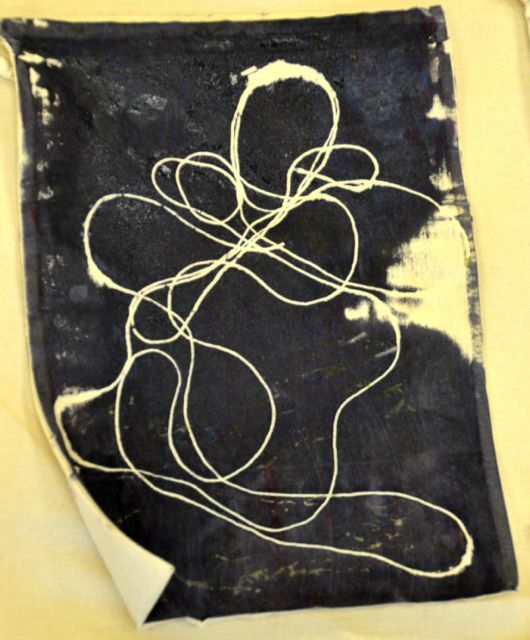 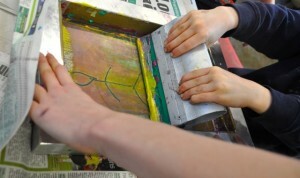 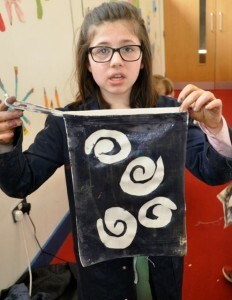 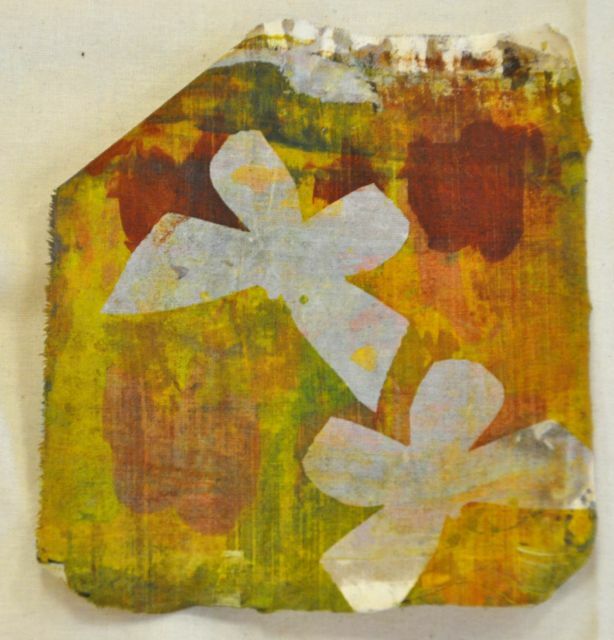 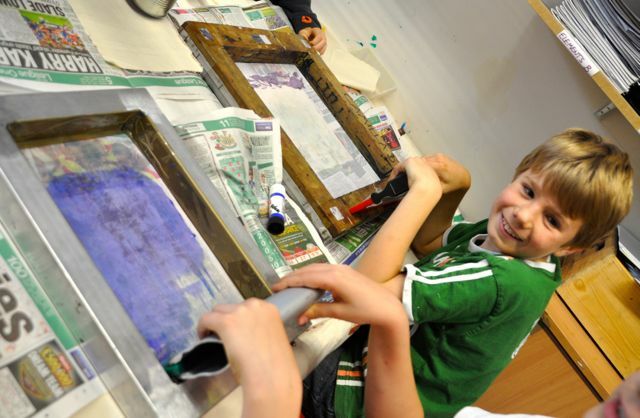 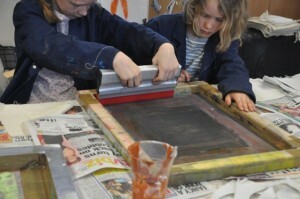 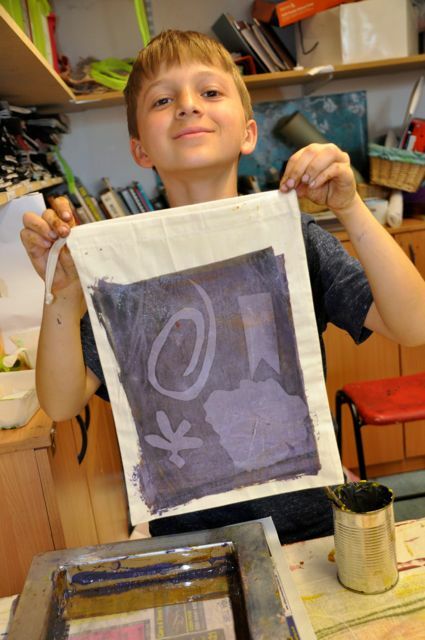 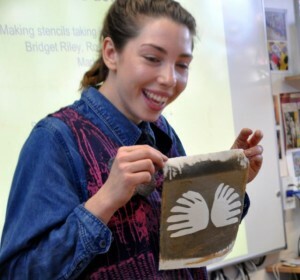 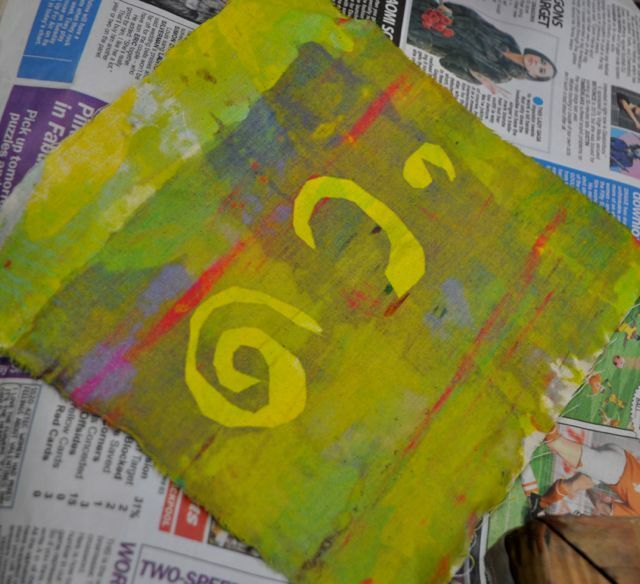 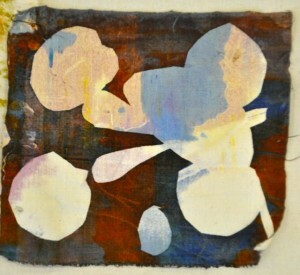 Nicole demonstrated how to make a simple screen print using a screen, squeegee and newsprint paper to make stencils. 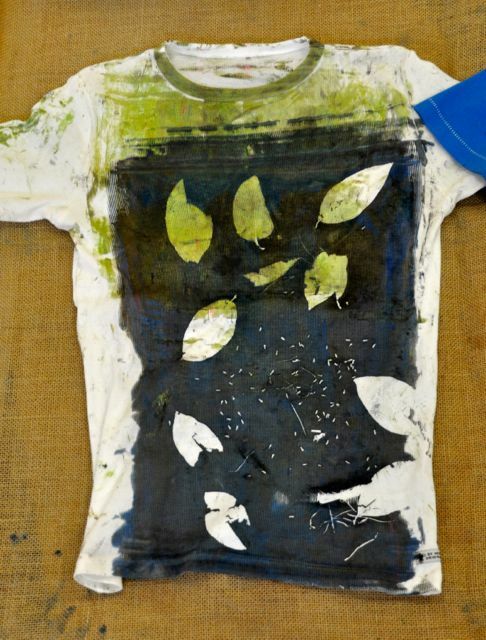 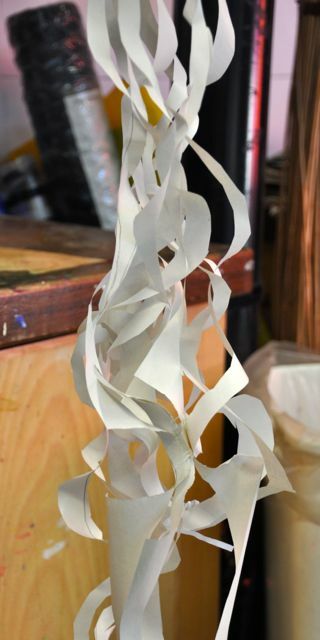 Beautiful designs can be created quite simply. 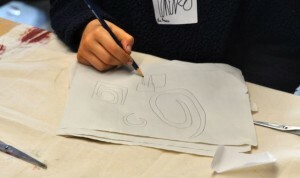 We were inspired by the pattern work of artist Bridget Riley to draw shapes and make stencils. 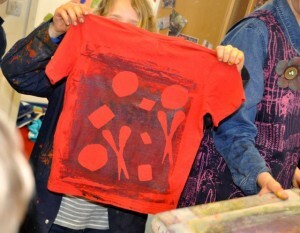 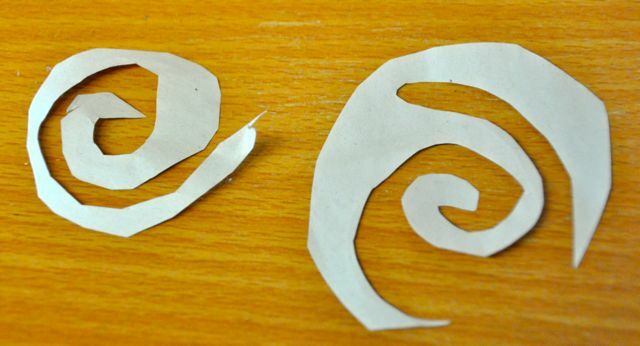 Positie and negative shapes make good stencils and patterns. 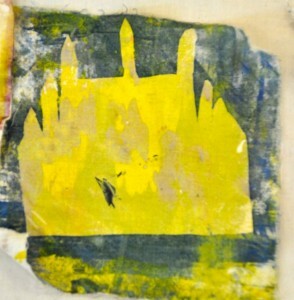 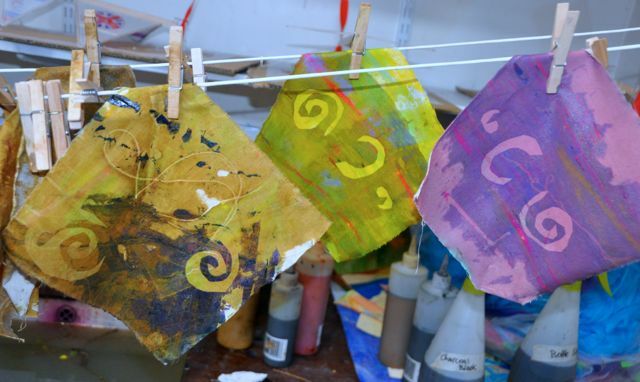 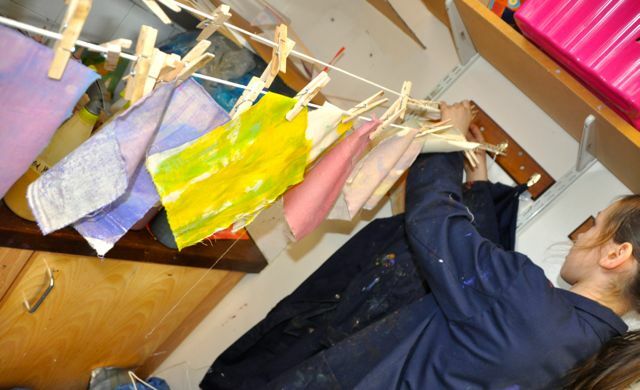 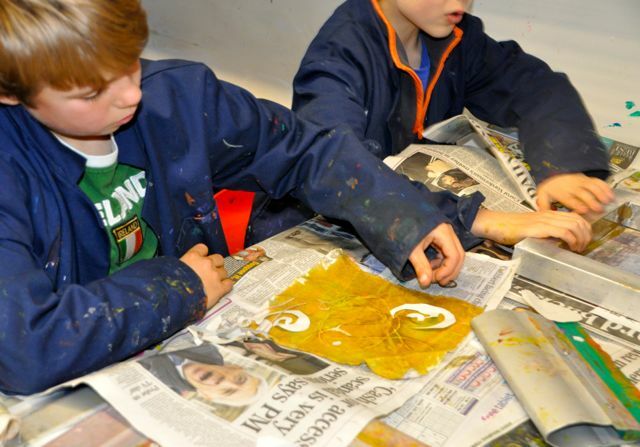 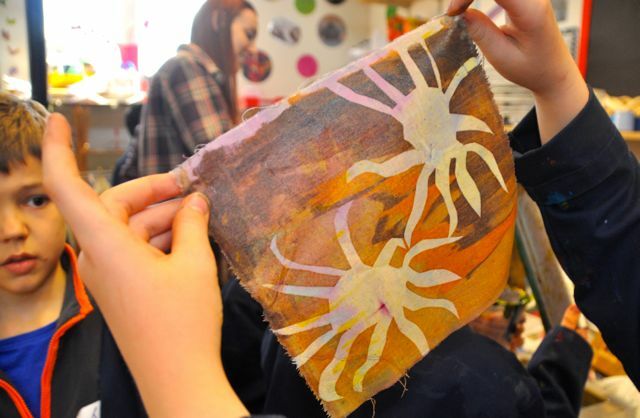 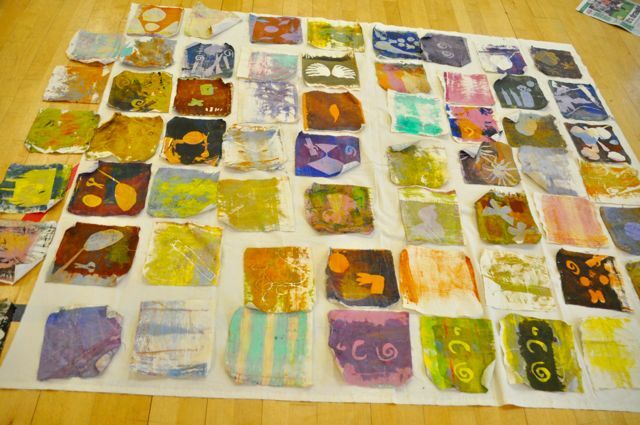 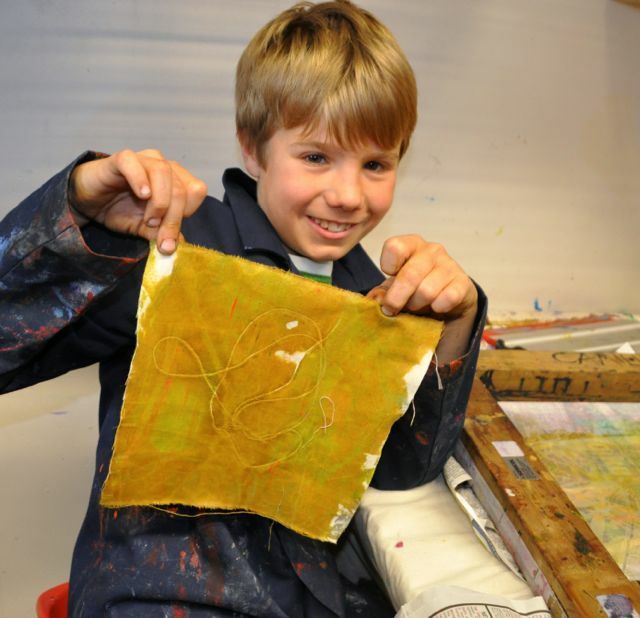 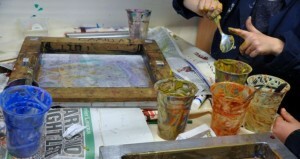 We then experimented with mixing different printing inks to create background colours. 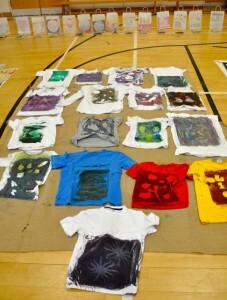 Then we began to print. Some backgrounds were subtle and delicate. 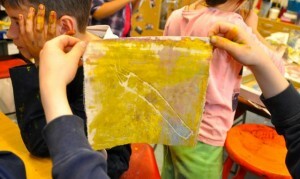 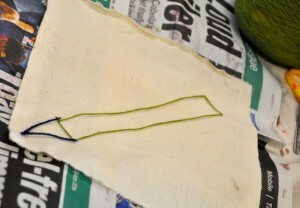 We then put objects like string through the screen to see what happened, running different colours through the mesh. 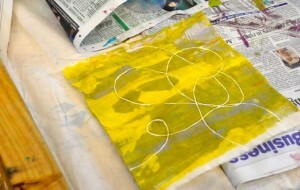 String is a great medium to draw with. Look at all the fantastic colours we got to play with. 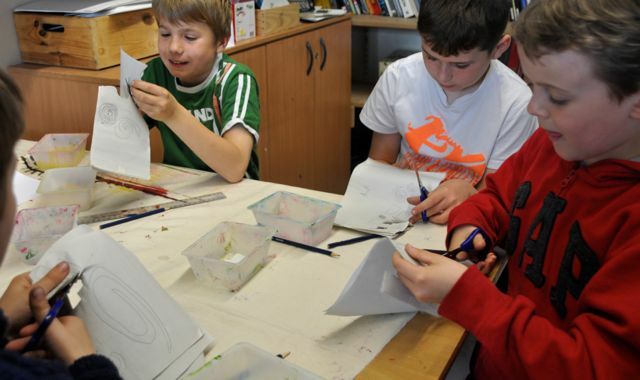 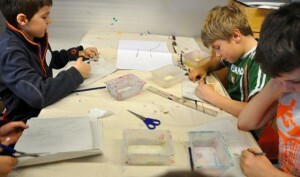 We then drew round objects, cut out shapes and laid out new designs onto prepared backgrounds. 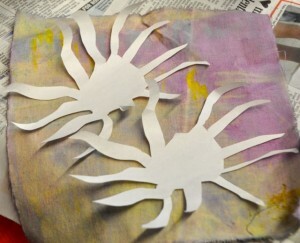 New colours were added to create different effects. 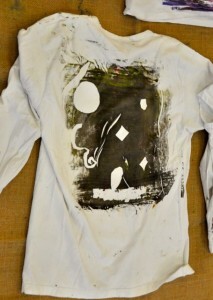 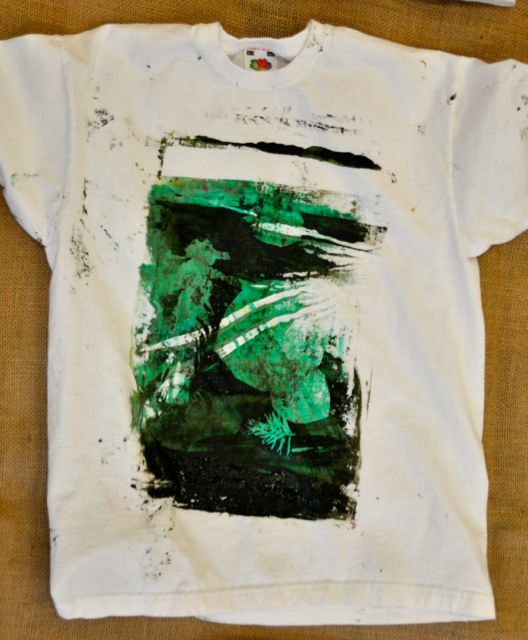 Once we were happy with the technique we began to ‘Up-Cycle’ our old t-shirts to create new ones. 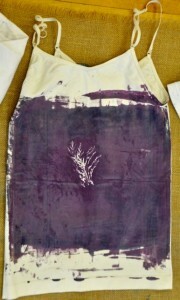 We had simple calico bags to print on. 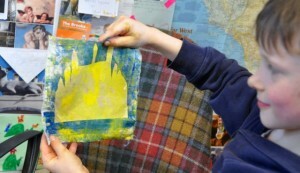 We then exhibited all our work for our parents to see. It was amazing to see how prolific we had been!